River pebbles is a natural stone, abundant resources, low cost, in today's increasingly scarce natural sand, River pebbles artificial sand has become a new trend. 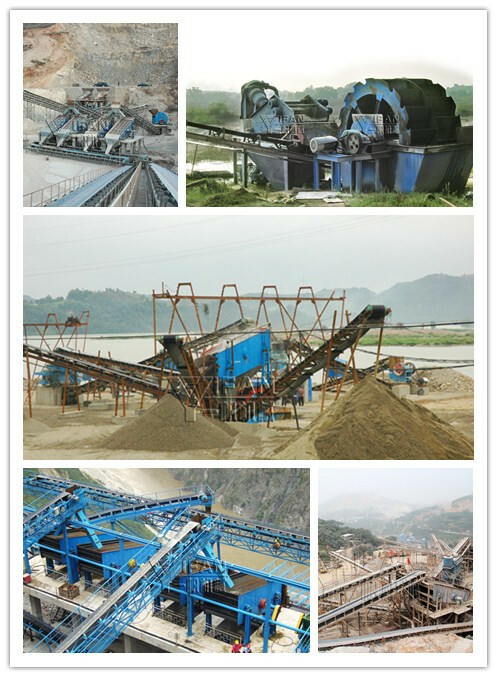 River gravel sand making machine is improved after years of research and development specifically for the new generation of River pebbles sand making machine works with reference to the integration of a variety of new technologies designed crusher, its typical use is to adapt to the current artificial sand industry is the cone crusher, rod mill crusher, impact crusher, sand making straight-through upgrading the product of choice. Deep cavity-type rotor aircraft after the optimized design, the material throughput increased by about 30%, the whole life increased by more than 40%, greatly saving costs and enhance efficiency. Transported by River gravel with coarse jaw crusher broken work, producing coarse material into the crushing machine by conveyor to a second break to work fine, stone crushing after vibrating sieve into two kinds of stones, sand meet machine feed size stones into sand sand, another part of the back feed into thin broken. Sand stones into a part made ​​of sand, through sand washing machine (optional) finished products after cleaning the sand, another part of the Sand broken into again. Zhengzhou Yifan Machinery Co., Ltd. provides a full range of river cobble stone equipment, 20 years of experience in crushing and screening equipment, improve the comprehensive after-sales service, to provide you with the most appropriate River gravel sand production line!